It's always such a joy to celebrate with couples in love...but it makes my heart sing a little louder when it's one of my friends. 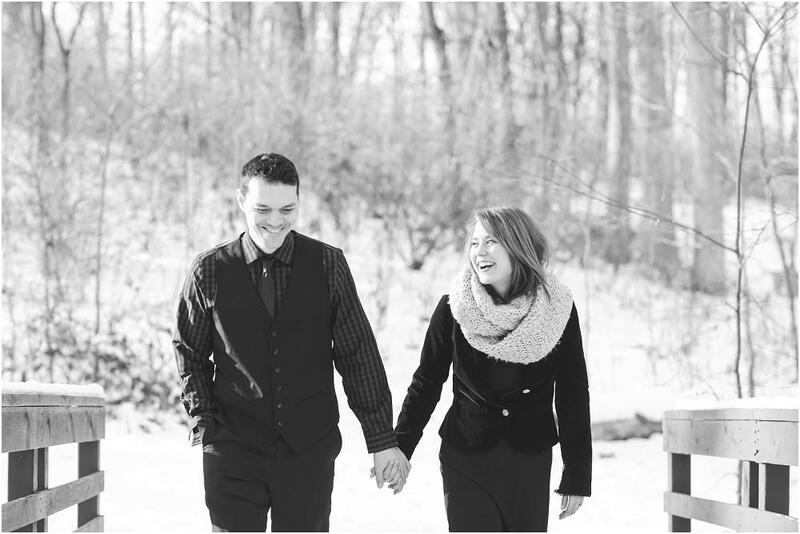 Anna & Johnny haven't even been dating for a year, but here they are giddy, in love, & getting married oh so soon! 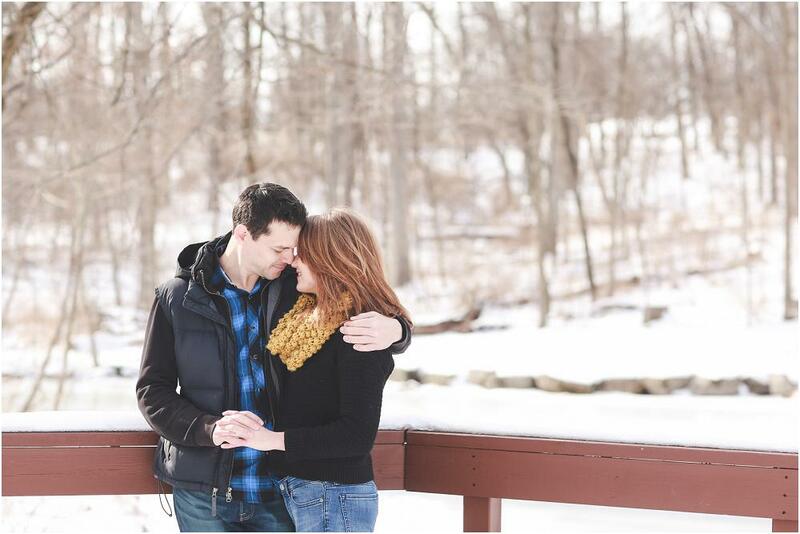 It's all happened so fast that this session was the longest time I've spent with the two of them. haha & we had a blast! Sure our toes were numb by the end of it, but I'm pretty sure it was worth it. 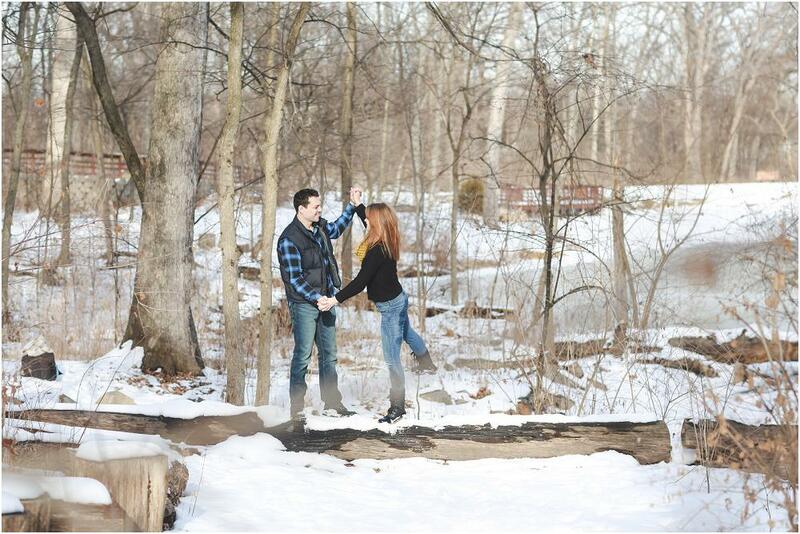 Johnny proposed to Anna in this park on Christmas Eve. It's a park they used to walk around & enjoy together when they first started dating; when the trees were full of big green leaves, the bridges blended into the surrounding woods, & the fountain was bursting beautifully in the pond. The surroundings may have taken on a new look for the winter, but the sweetness & comfort of this spot was still the same. the spot where Johnny popped the question...& pulled out the bling! I love re-visiting the spot of the proposal - it adds a little more intimacy & richness to our time together. I'm so happy they shared this special place & memory with me. one of my favorite things to see is Johnny light up just looking at Anna...especially when she would laugh. Thank you so much for sharing this special place with me & inviting me to capture such a special day for the two of you - I'm looking forward to it!